Ruby Holland taught sixth grade in the Charlotte/Mecklenburg School System for 39 years. Her brother Harry served in the U.S. Army and was stationed in Korea for a period of time. He worked at Broyhill Furniture Company in the Rutherfordton and Marion plants for a total of 41years. Upon reflection, Ruby says, “One of the things I am most grateful for is that I grew up in a family where we were taught to work, and if you needed something, you knew you had to work for it. 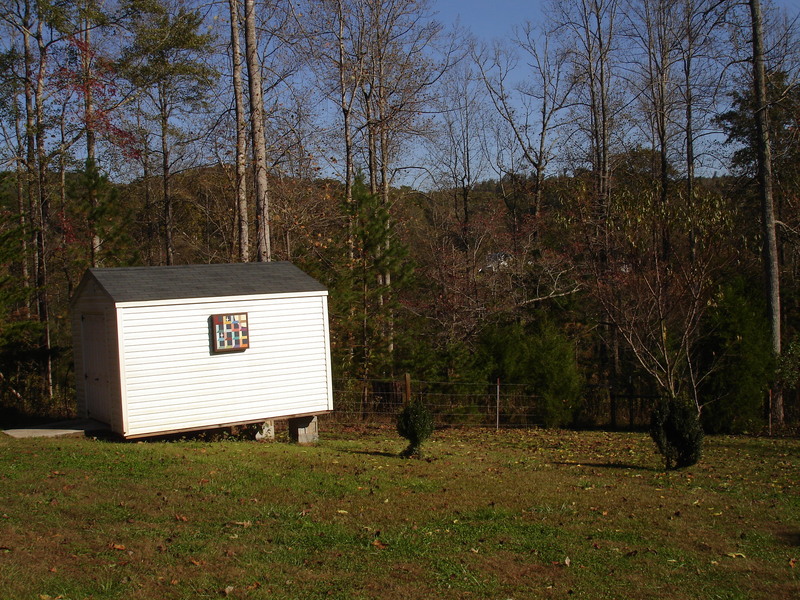 If you didn’t have the money for it, you didn’t need it.” This philosophy was taught in many homes and is reflected by the offspring of families in McDowell County today as a result of those hard times. These quilt blocks represent memories not told in any history book. In Images of America, McDowell Co 1843-1943, by Jim Haney, I saw a 1890s photo of John J. Sprouse standing in front of his mill with customers Jethro Ward of Vein Mtn and Deed Arrowood of Mud Cut. 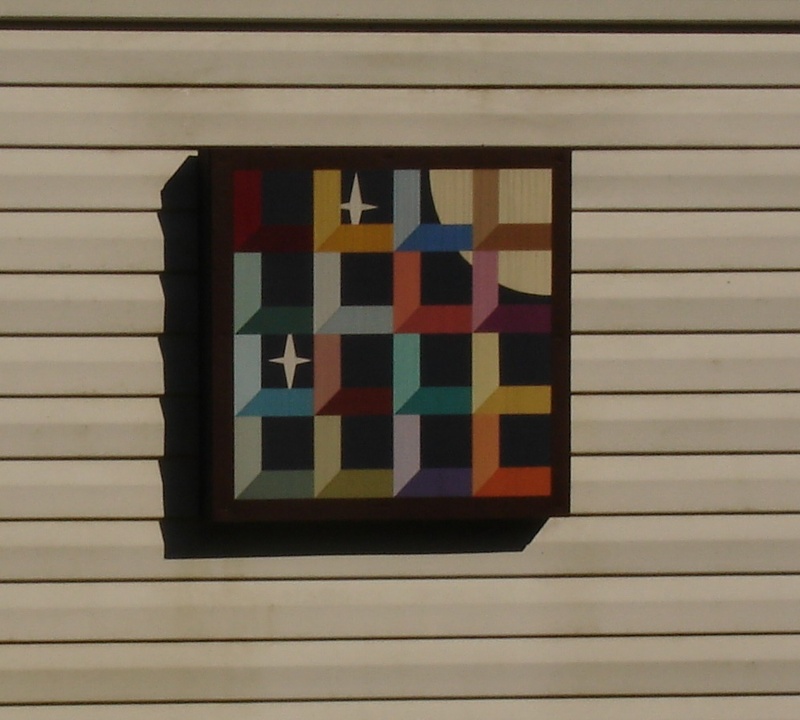 Nora’s quilt block for her grandfather’s grist mill also honors her husband’s workshop. 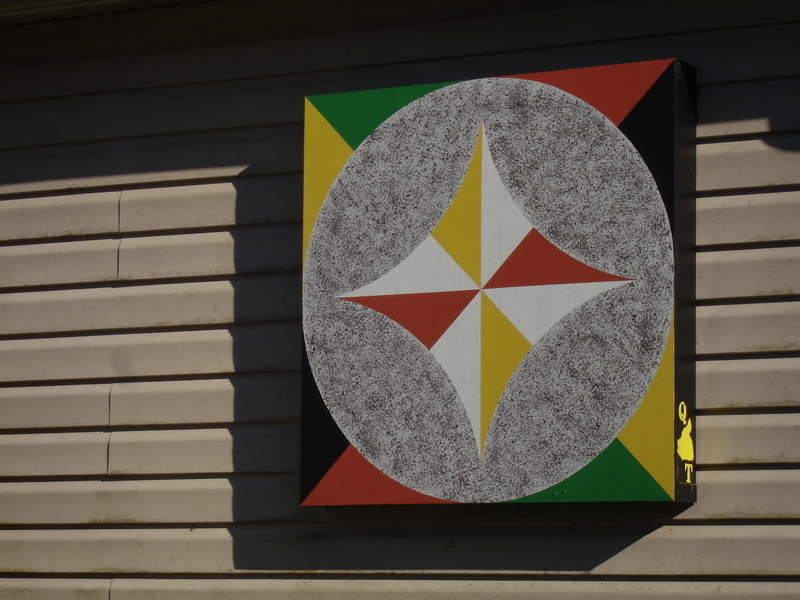 This block is listed as #21 on the historic McDowell County quilt trail. (See prior post Part 18: Sister Ann’s Turn). Today when there are no leaves on the trees, the old homeplace and the attic window beside the chimney can be seen from her sunroom as she enjoys her new hobby of making bobbin lace, a craft not taught in home economics. In addition to the two quilt blocks on the Sprouse Farm, there is also #30, “Little Dutch Girl” at the home of Pat Allison Arrowood on Brackett Town Road (Also at Part #13). One of the latest blocks is “Glenwood Gold”, #144, the second quilt block to be hosted by McDowell Hospital on one of their community facilities. The colors of maroon and gold are now the colors of the Glenwood Elementary School which opened in 1904 as the first public school in the area. Where the Sprouse children went to school, and drove the bus, as told in preceding posts. The gold color represents the importance of gold mining in this community as reported in the early Brackett Town Saga articles. The popularity of quilt blocks spread into the commercial sector. “Marion has a lot of old buildings, and owners wanted to put blocks on historic storefronts because these designs tell a story.” For a hundred years, Marion Manufacturing Company had employed thousands of local people. It made the national news in 1929 when six strikers were killed in a union attempt to take over the factory. (This story was written in 2004 by Mike Lawing, The Marion Massacre.) The building that was woven into the fabric of so many lives was torn down in 2012. “With a deposit of $5 in a savings account, the workers had been able to become members of a credit union established in 1967. Cornerstone Credit Union commemorated Marion Mfg Co with #37 quilt block named “Stacks of Memories.” The wagon wheel design with eight burgundy spokes represent the smokestacks and the factory’s four eight-hour shifts. 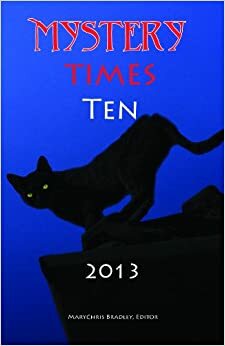 The jagged border replicates the roofline of the façade of the mill where the big clock was situated so that the folks on the hill in company housing could see it and hear the buzzer that sounded ten minutes before a shift started. Start walking! On the four sides of the quilt block are the times of the shift change. In this historic section of town, most of the houses have been treated with tender loving care, including one owned by a Sprouse family brother, Wayne. Wishing all my readers a Happy New Year to make memories that will one day be history! This entry was posted in Brackett Town Saga, Setting and tagged hard times, quilt blocks, Quilt trail, rural history, waste not want not. Bookmark the permalink. Well done. Thank you for telling about the McDowell Quilt Trail in your blog. The quilt blocks are a visual reminder of the historic treasure that surrounds us. I appreciate the hard work of those of you who volunteer to raise that awareness.